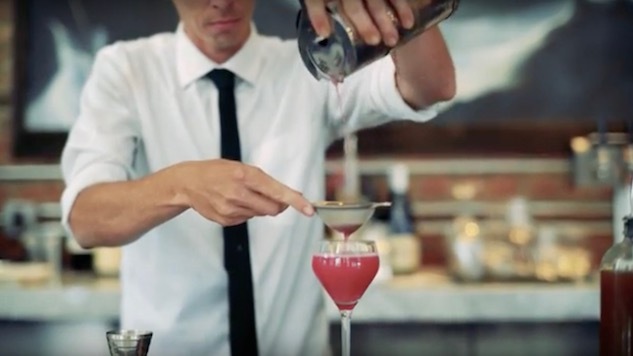 Motor City Cocktails: Q&A with Wright and Co. Located on the second floor of one of Detroit’s most iconic buildings, Wright and Co. stood as a shining example of what was possible in downtown when they opened three years ago, back when the city was largely a ghost town. The cocktail bar/restaurant is known for its cocktail program, which hinges on Detroit’s quintessential cocktail, The Last Word, a mix of gin, green Chartreuse, maraschino liqueur, and freshly-pressed lime juice. We talked with Wright and Co.’s general manager Kat Hawkins about the joy of being a cocktail pioneer in Motor City. Paste: Given that Wright and Co opened three years ago, your place feels very much like a pioneer in downtown Detroit, in operation back when there were few businesses and the street lights didn’t come on. Could you give us a sense of what it was like in those early days? Kat Hawkins: It was really interesting to see how successful a restaurant with no sign, no parking lot, and constant construction around it was going to be in a very empty downtown, but it worked! We were busy. SO busy. I think people had really been wanting somewhere that wasn’t a sports bar to open up in this neighborhood. The Opera House, Music Hall, and Gem Theaters are all very close by and their patrons have been good to us since the start. It was odd being the only one. However, now that we have neighbors and the surrounding blocks are being developed it has only gotten better for us overall. Paste: And now you’ve got chain stores lining the streets and waiting lists to get into downtown condos. What else has changed as it relates to the beverage scene in Detroit? KH: First of all, BRING. IT. ON. Fill these buildings! Bring the people into the city! We are loving it. As far as beverage goes, we were a little scary to some people at first…we don’t have Bud Light, and our wine list is Old World focused, and gosh what the heck is Becherovka? However, we were ready to answer all of those questions and be able to provide quality products that many just simply hadn’t heard of yet. Now we have soccer Moms ordering Single Barrel Bourbon Old Fashioneds and people asking me for a gin list. It is so wonderful to see people becoming interested in things they had never heard of three years ago. Paste: Given its long history, Detroit very much feels like it’s a working-class town developing some very refined tastes. Does that create any sort of paradox in terms of what residents want to experience? KH: Not really. It’s a “work hard/play hard” kind of mentality. I think that Wright and Company straddles that line of refinement without being stuffy about it, much like the people of Detroit. Our owners set out to make this into a gathering place for people who are grabbing a bite before the baseball game, or to come in here dressed in your best for the opera. We are happy as long as you are happy, no matter what outfit you are wearing. Paste: Tell me a bit about the building that Wright and Co occupies. I understand it was once a jewelry store? KH: This building was designed by Gordon W. Lloyd and was built originally for the F.J. Schwankovsky Company, a retailer of musical instruments, and it was completed in 1891. It went out of business a few decades later and then was occupied by the Wright-Kay jewelry firm from 1920-1978. There are plenty of guests that come in and tell us all about their experiences at the jewelry store, and many make sure to wear the pieces they bought from them when they come in to dine. This building was also the first in Detroit with an electric elevator, and the second floor on which we are located, was a ballroom used for concerts. Paste: Beyond the Last Word, which is said to have originated at the Detroit Athletic Club before disappearing and resurrected by Murray Stenson at the Zig Zag Café, what other signature drinks would you ascribe to Detroit? KH: The Last Word is definitely the best of the cocktails that gets lumped into Detroit folklore, that is certain. I don’t think we are known for any other cocktail in particular at this moment. More importantly we should be known for having a very strong cocktail scene with numerous serious bars and programs. The ladies and gentlemen leading the way are passionate, creative, and completely dedicated to their craft. I am certain a new classic will emerge from that. Paste: I fell in love with the Les Fuers du Mal cocktail, but does Wright and Co have a signature cocktail? KH: I’m glad you liked it! We do not have a signature cocktail, but we have a seasonal rotating menu that is full of original house crafted drinks. Paste: And what are your personal three-favorite spots to grab a drink in the city? Beer, wine, cider, cocktails—doesn’t matter. KH: The Sugar House in Corktown for cocktails. The Royce for a glass of wine, and Honest John’s in midtown for your favorite high-class dive bar.